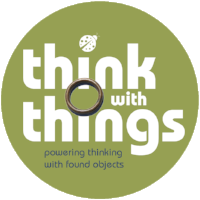 The foundation and material base of Think with Things is simply found objects; bottle tops, corks, buttons, things from everyday life, you probably throw them away without thinking twice. These things are much more than stuff that clutters our surroundings. We have seen their potential as amazing thinking tools and we believe children see this potential as well. They collect things, keep them safe, tell stories with them, and use them to build and design wonderful new worlds. When it is time to learn and or work, we tend to see these things as useless distractions. 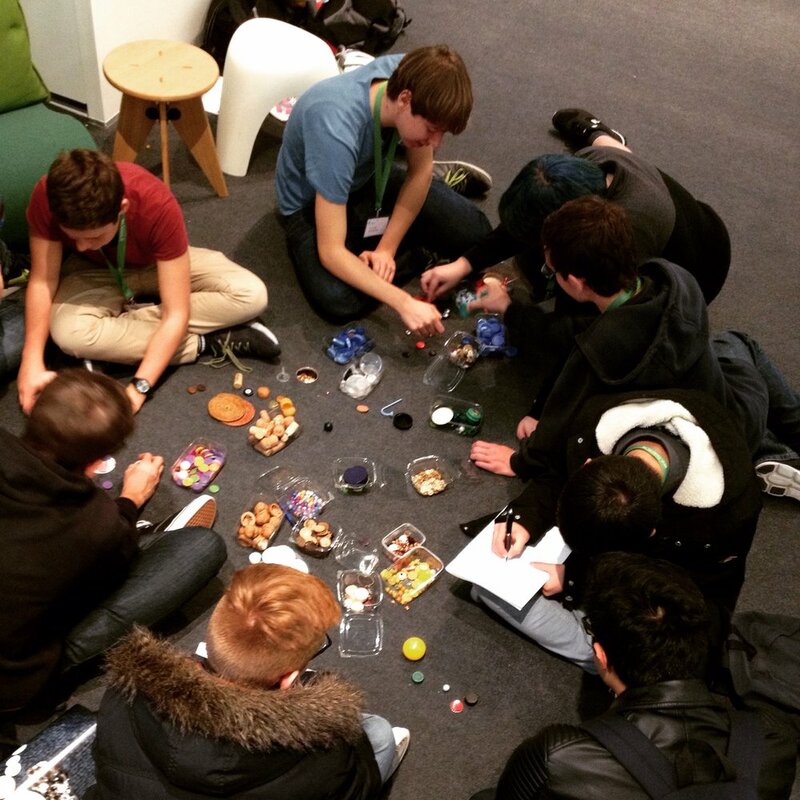 We ask children to empty their pockets and often their minds and we clear our desks and conference tables. In this way individuals can be fully focused and ready to learn and think seriously. But does that really work? At Think with Things we dream of capturing peoples attention and sense of wonder. Not unlike those things in children's pockets. 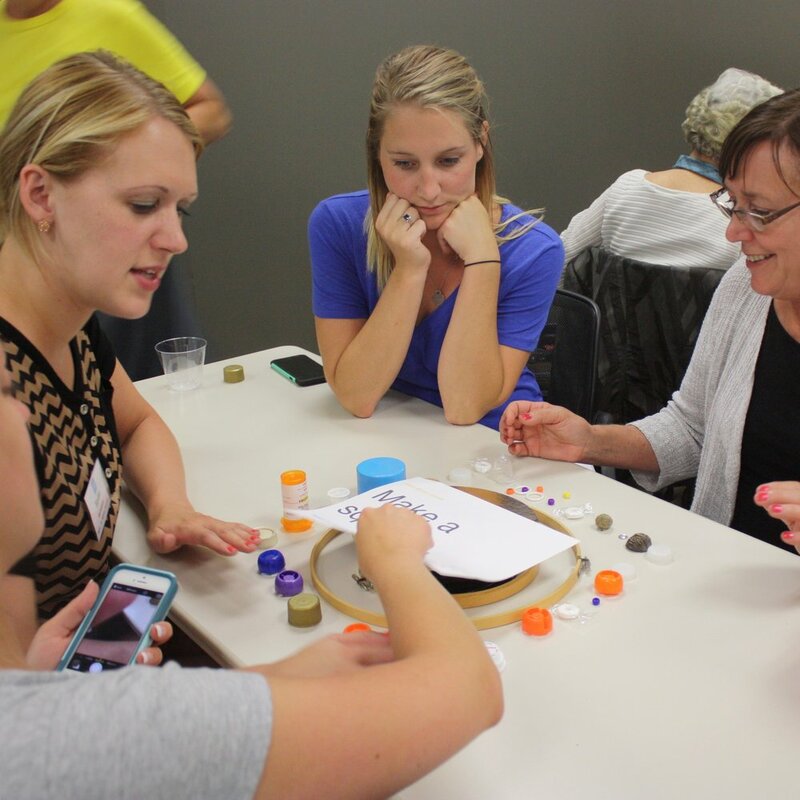 Each Think with Things workshop from Business to Education and from child to adult draws on this childhood curiosity and wonder and encourages Things to become thinking tools. 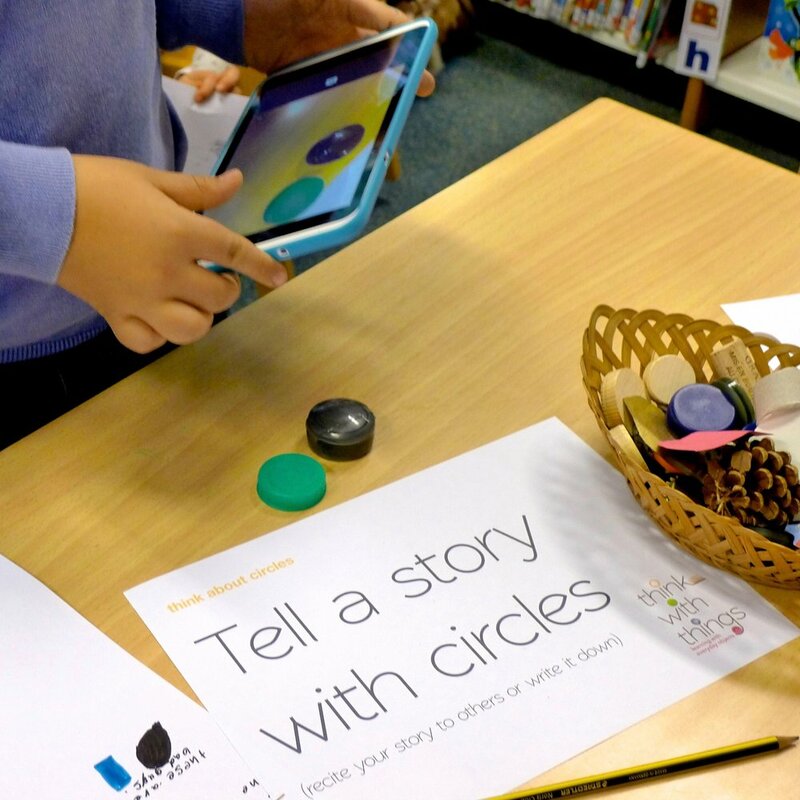 That's why we are building this project to create a community of like minded professionals and share our knowledge of building a collection of everyday objects and their connected learning possibilities. This method supports problem solving, creative thinking and collaboration skills and enriches present learning practices to engage more children and adults thinking and learning everywhere in the world! Through years of working with this method, we have developed 4 powerful modules within our toolbox. A curated collection is a group of well intentioned objects that when put together they provoke curiosity, questions and creativity. The goal is to start a conversation without really even asking the question, by only hinting to the question or topic through the group of objects. To capture an idea or thinking! In a workshop with children ages 4-5 we announced we would now capture our thinking and one little boy looked excited and said "Yeah, where is the net!" So, this part of our process is a little similar as thinking can be tricky to capture, but we work more in the lines of recording through high tech and low tech means. The process isn't complete if you don't have a chance to share your thinking with those around you either physically or virtually. We have many ways to do this from a walk-about where your ideas are on display to a theatrical performance. You choose the best way to communicate your thinking.